"Why don't you pick on someone your own size...LIKE ME?!?!?!" Student of the Monster Academy, Ickis' speciality when it comes to scaring is to grow in size - but this can be hard when people think you're cute, like a bunny rabbit! 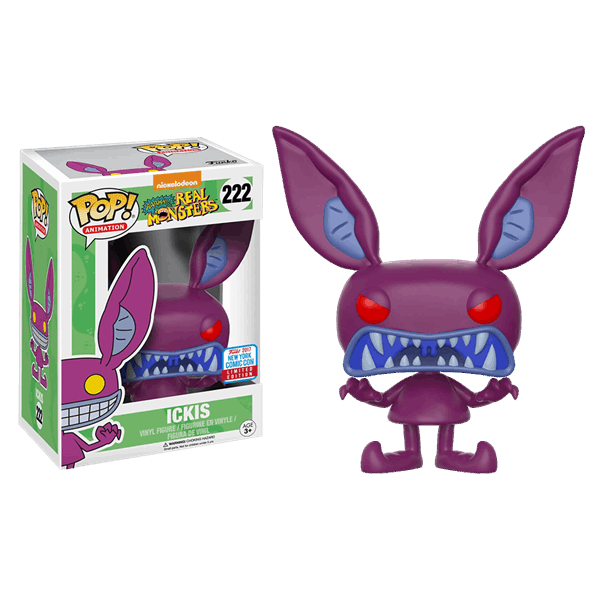 This figure features Ickis from the hit 90's Nickelodean kid's show 'Aaahh Real Monsters! ', in full scare mode!